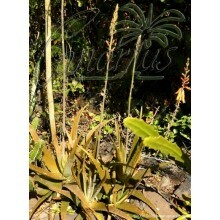 "Egg-bearing thick-plant", that is what the latin name means. 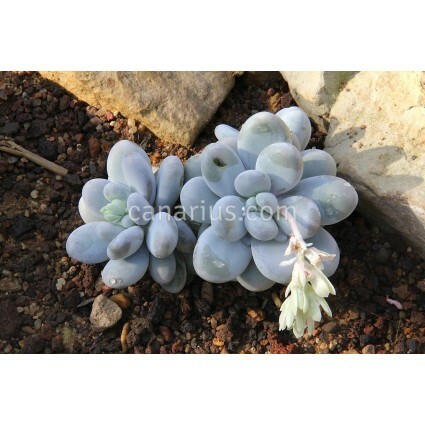 This Pachyphytum is especially beautiful with prostate stems with compact rosettes made of large "egg-shaped" white leaves that can turn to brown, grey or jade depending on sun exposure and season. 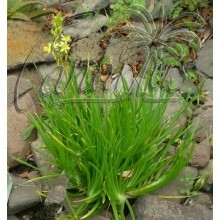 "Egg-bearing thick-plant", that is what the latin name means. This Pachyphytum is especially beautiful with prostate stems with compact rosettes made of large "egg-shaped" white leaves that can turn to brown, grey or jade depending on sun exposure and season. 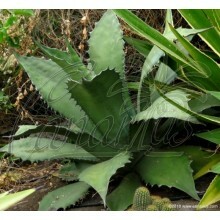 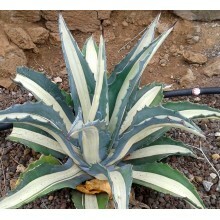 It comes from a harsh climate in San Luís Potosí, in Mexico, at about 1200 m asl and it is very adaptable in cultivation.